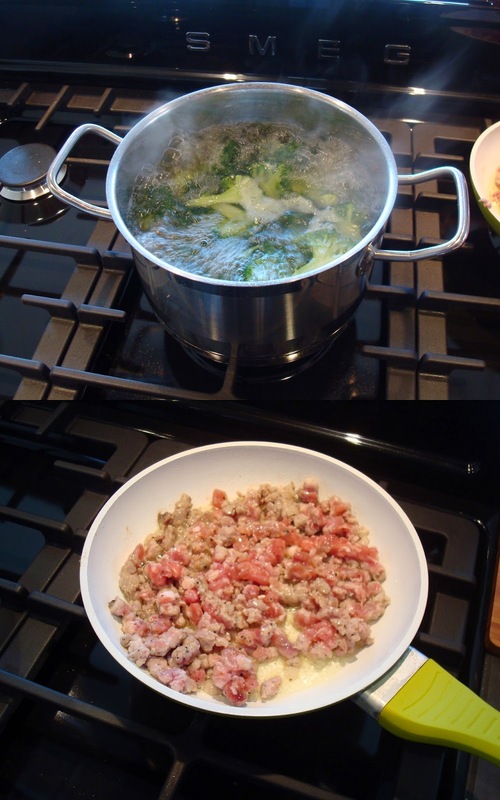 At first you need to start cooking your broccoli and your pasta. You take a big pot with water and put in your broccoli. When your water starts to cook, you’ll have to wait a minute or two. Then you put in your pasta. While your pasta and broccoli are cooking, you start roasting your meat with some olive oil. To spice it all up, you put in some chilly flakes (all depending on how hot you want it to be) and season with salt and pepper. Now it’s time to prepare the milk and ricotta. For this you’ll need a measuring cup. So put your ricotta and milk in a measuring cup and mix it up until it’s a homogeneous mass. When your broccoli and pasta are ready (check cooking time of your pasta) you’ll have to bring all ingredients together. 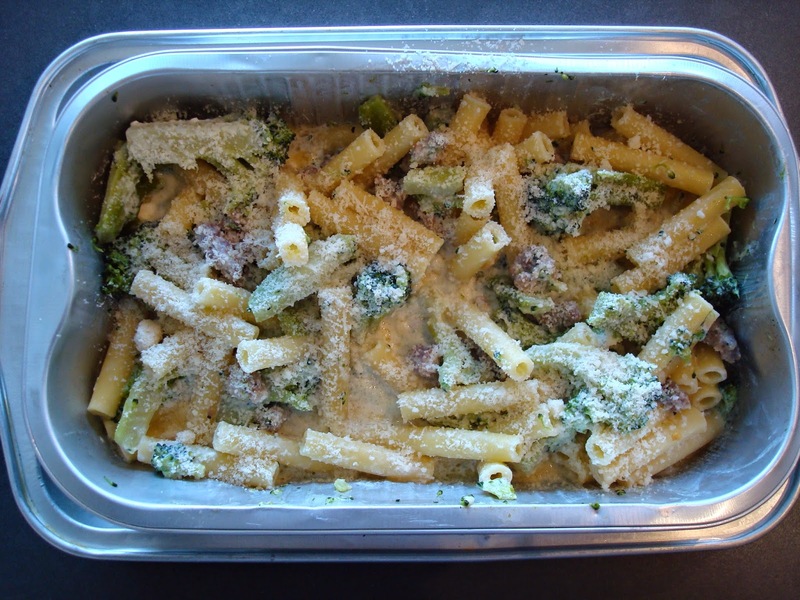 Take an oven plate and first put in your pasta and broccoli. See that you distribute it evenly. When it’s all in the oven plate it’s time for the ricotta mixture. 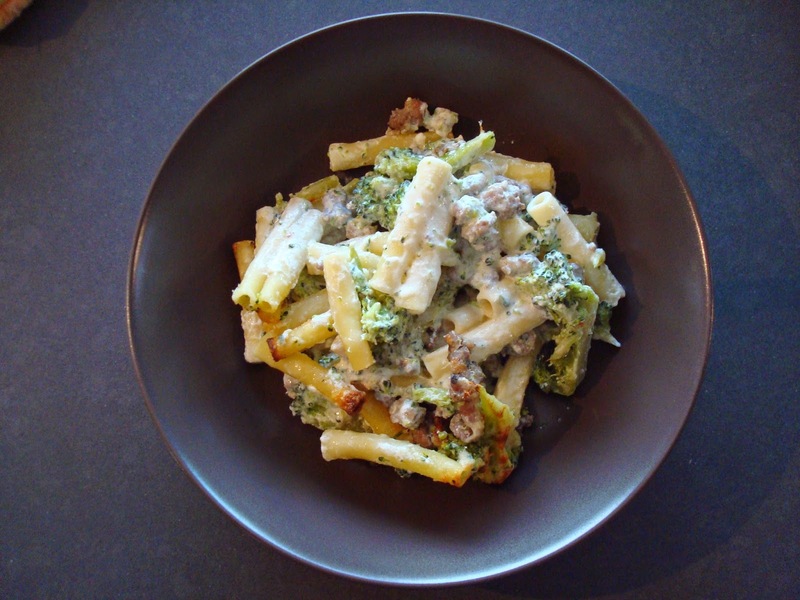 This also you’ll need to distribute evenly among the pasta and broccoli. At the end you sprinkle it all with some parmesan cheese and season again with salt and pepper (if needed). Put this all in a preheated oven of 180°C (356°F) for about 15 minutes and it’s ready to eat! If you like this dish, feel free to comment below.